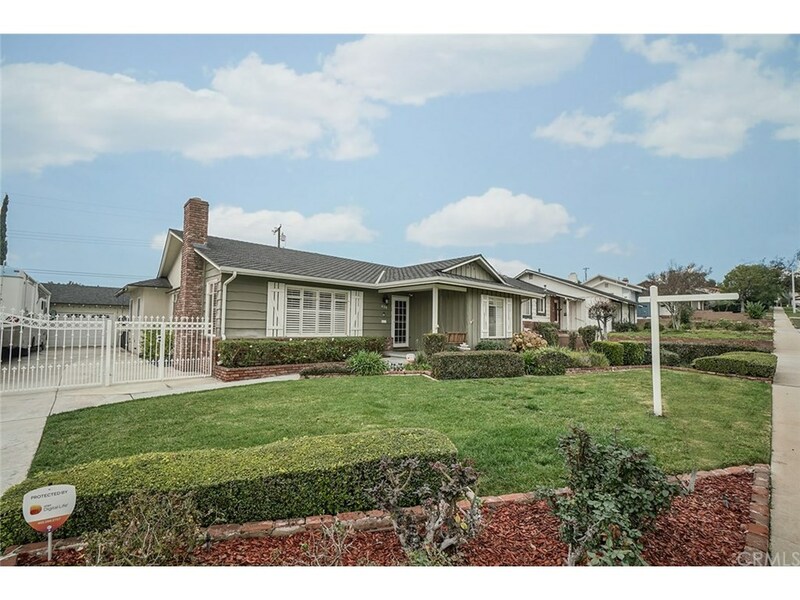 This gorgeous Covina 3-bedroom 2-bath single story home with its’ long list of upgrades is located in the sought after Charter Oak area of Covina. This home is absolutely turnkey having most everything from crown molding, hardwood floors, central air and heat plus ceiling fans throughout! The living room features a beautiful gas fireplace w-mantle and plantation shutters. The Kitchen looks like it’s out of a magazine with awesome granite counter-tops; a deluxe 6-burner stainless Thor gas stove & Convection Oven and beautiful wood cabinetry with pull-out shelves, and self-closing drawers & doors,a beautiful farmhouse style sink and walk-in pantry. Also, each of the two bathrooms has been upgraded and remodeled to include upgraded cabinets and granite counters. The most luxurious of the baths even has a Jacuzzi-jet style tub to simply relax and clear your mind and sooth your entire body. The backyard has a large covered patio with sun screens to block out the sun; a lighted pathway to flowering plants and a mini-garden. The extra-long and wide concrete driveway is able to fit several cars or utilize as RV and/or Boat Parking and the detached garage features spacious storage and shelving, tool organizer and rafters. A solid block wall surrounds 3 sides of the property further enhancing privacy and security and there is an energy efficient tank-less water heater on the north side of the house and Indoor Laundry room. Turnkey! Come make your memories here!